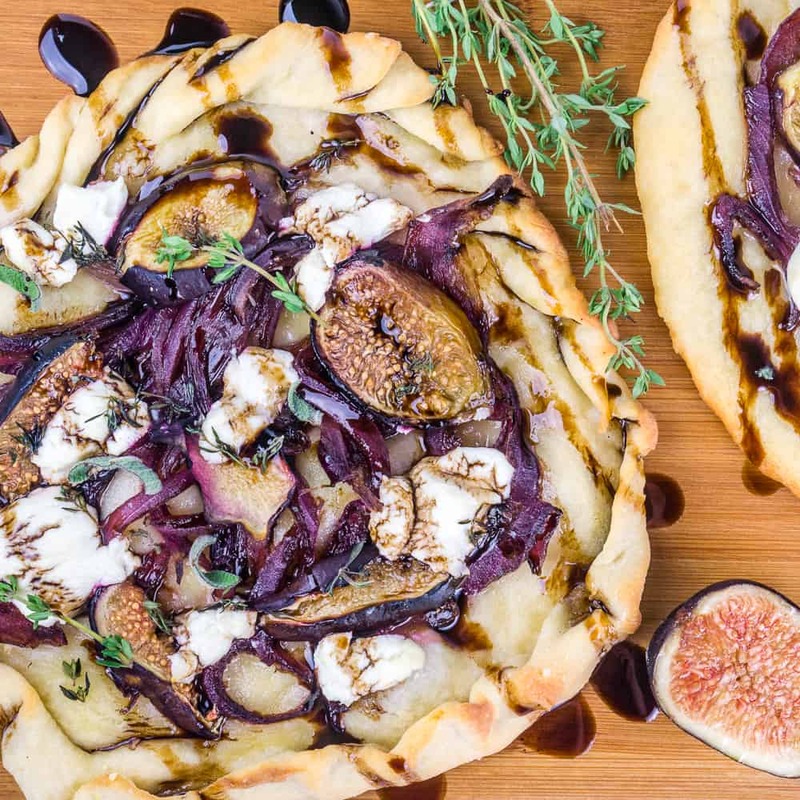 These Caramelized Onion Fig and Goat Cheese Flatbreads are made from scratch using the two-ingredient pizza dough, and they are the perfect lunch or appetizer. The two-ingredient pizza dough is back! I’m such a big fan of this pizza dough because it is so easy to make at home, and it rolls out so much easier than actual pizza dough. You know how pizza dough made with yeast is such a pain to roll out because it keeps shrinking every time you think you rolled it out to the right size? 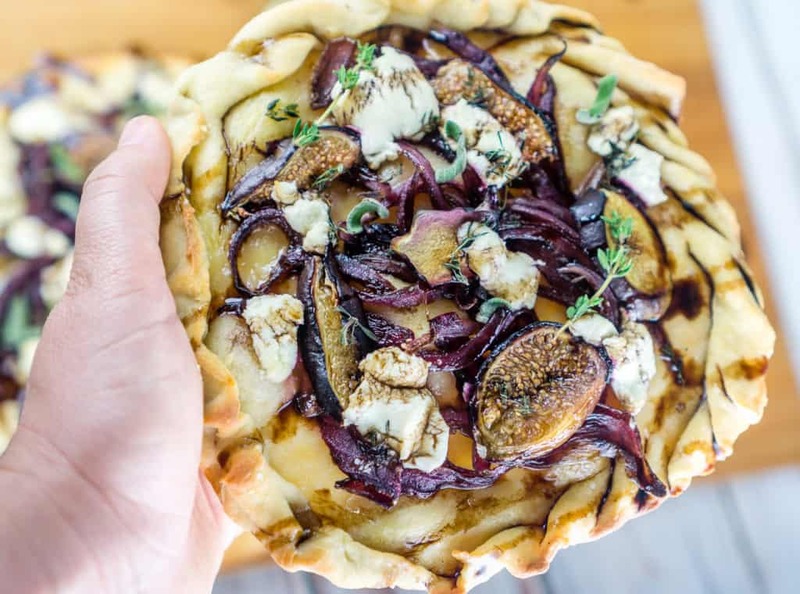 Well this two-ingredient pizza dough doesn’t have that problem! 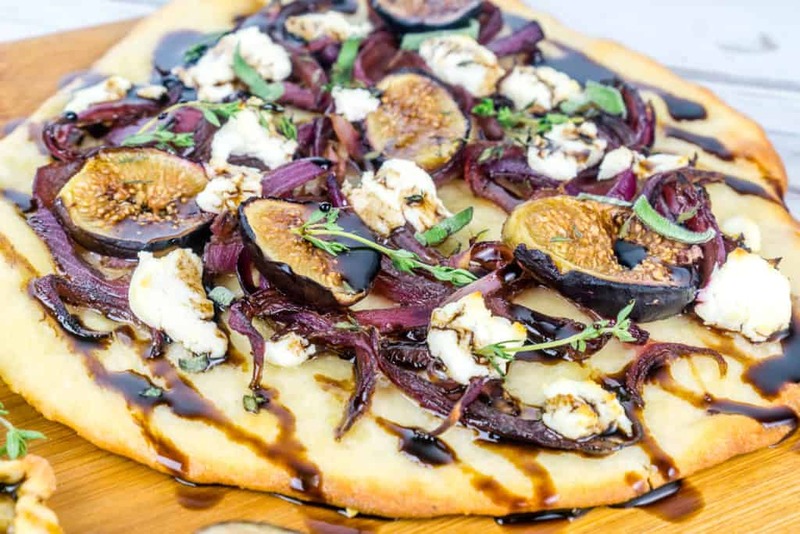 I love using the two ingredient dough in all kinds of recipes – from classic pizzas to not-so-classic pizzas to getting creative with flatbreads. It ALWAYS comes out good. You always get a thin crust and nicely browned edges that are perfectly chewy and a bit crispy. Howeverrrrr, if you don’t have time to make the flatbread from scratch, feel free to use store-bought pizza dough! 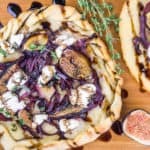 This particular flatbread recipe is awesome because it has the best toppings – caramelized onion, juicy sweet figs, and goat cheese. (Doesn’t goat cheese make everything feel super fancy?) Oh, and top it all with a balsamic glaze drizzle for that final little something. Mmm mmm. You can’t go wrong with that. 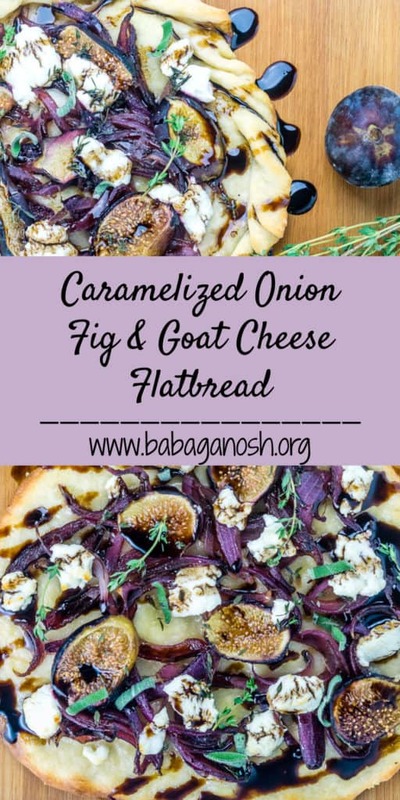 I used an awesome trick to make caramelized onions for these flatbreads – I made the onions in the microwave! Don’t knock it until you try it. It is much faster and works perfect in a recipe like this where the caramelized onions get baked afterwards. I cooked the onions with a bit of balsamic vinegar in the microwave while making the dough. I will definitely be using this trick more often, since baking the onions after the microwave still gives them that deep roasted flavor. 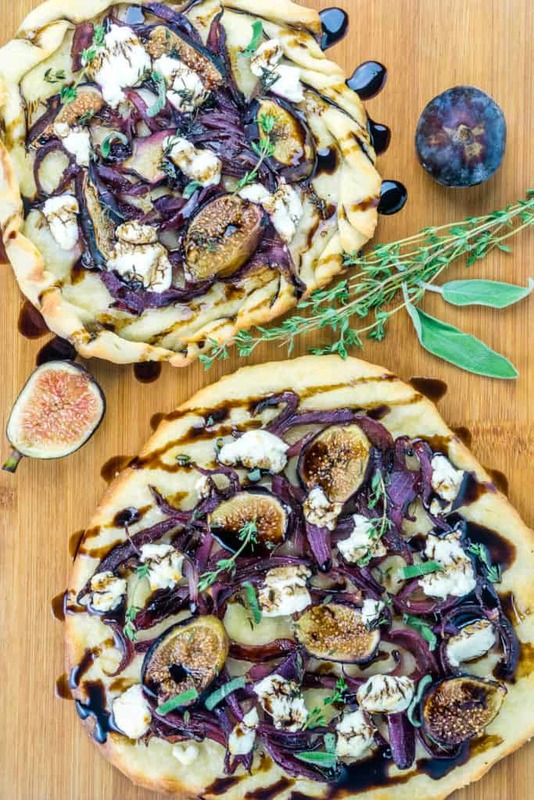 I think the colors of these Caramelized Onion, Fig, and Goat Cheese Flatbreads are just beautiful – roasting the red onion and figs gives everything a gorgeous purple color, and that makes these flatbreads even more fun to eat. If you make it, I’d love to hear your thoughts in the comments! To make your own self-rising flour for this recipe: Combine 1.5 cups all purpose flour, 2 teaspoons baking powder, and 1 teaspoon salt. 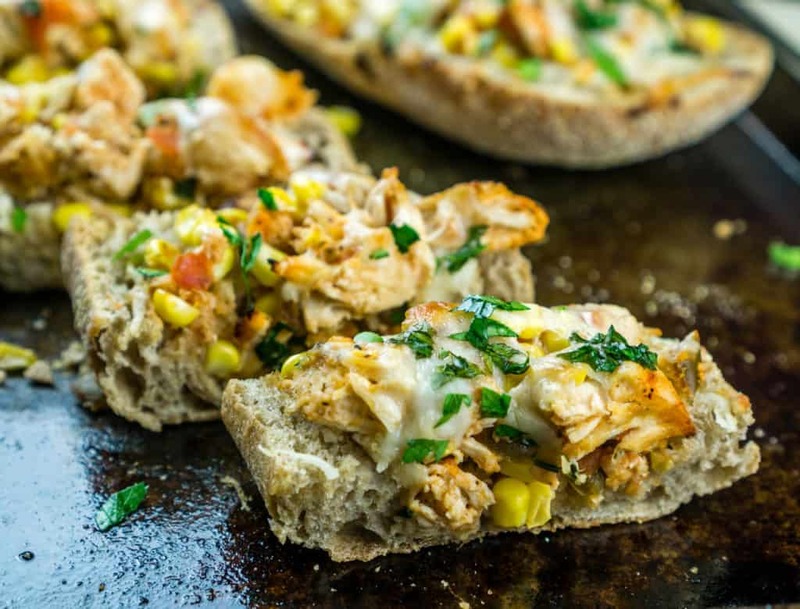 Cheesy Chicken Stuffed Ciabatta. Get the recipe here. 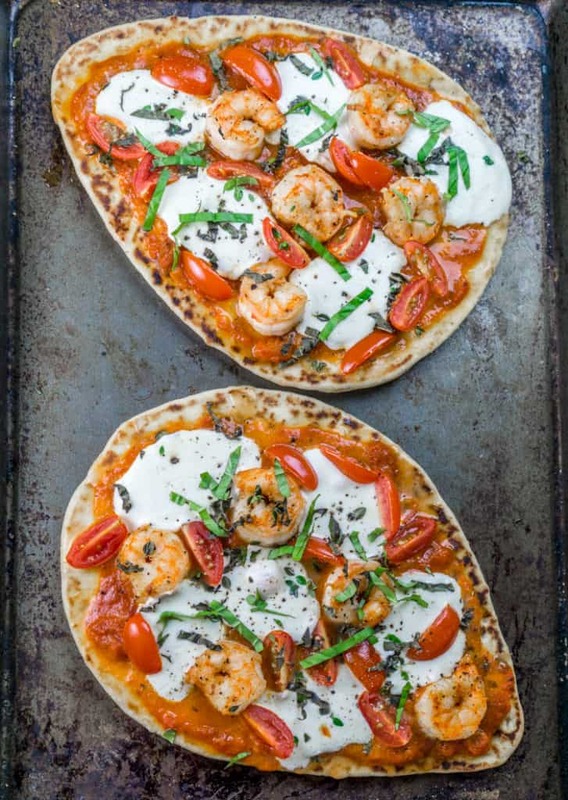 Naan Shrimp Pizzas. Get the recipe here. 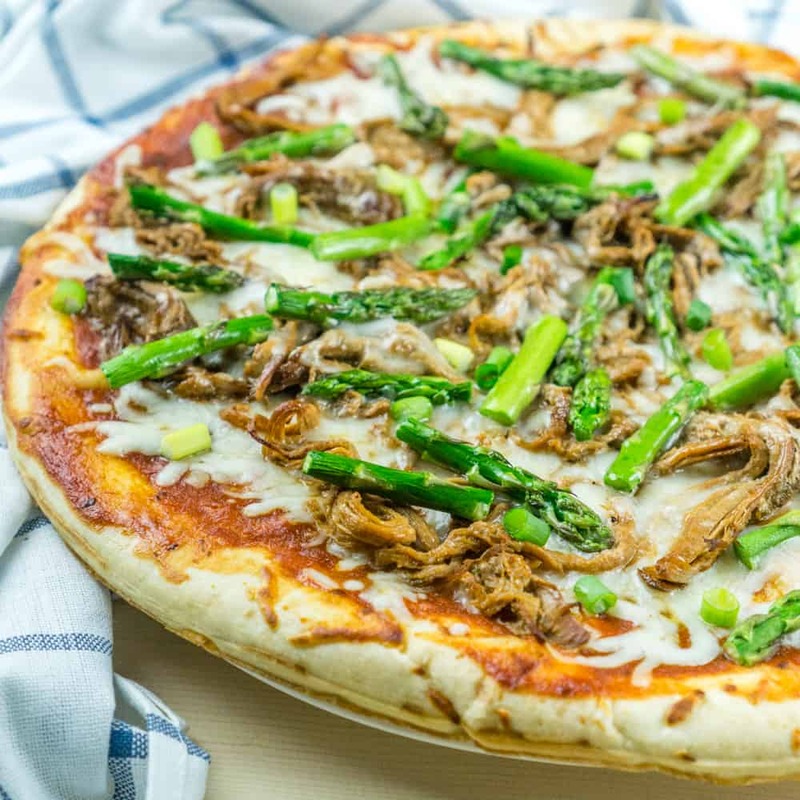 BBQ Pulled Pork Pizza with Asparagus. Get the recipe here. 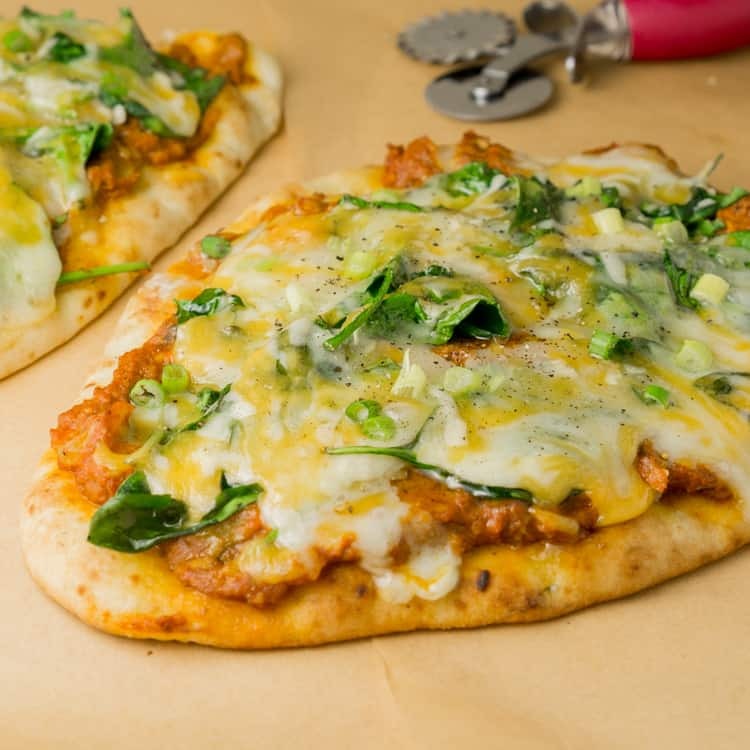 Naan Tikka Masala Pizza. Get the recipe here. 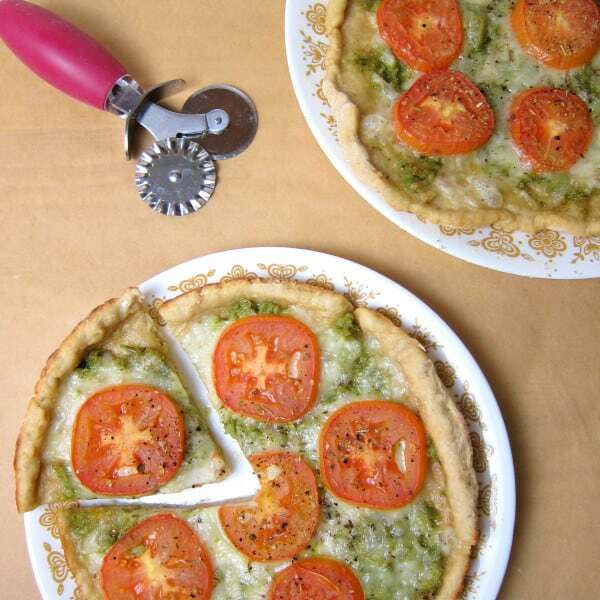 Pesto & Tomato Pizza. Get the recipe here.